FLY comes in colors! These compliment the choices available for CROSSWIND color upgrades. 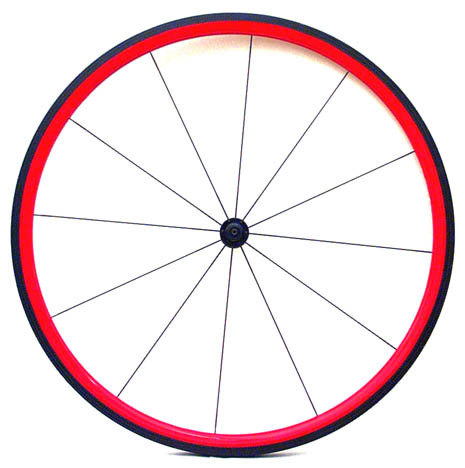 Standard solid colors are: Red, Periwinkle, Mango and White for a $60 upgrade to each wheel price. Custom solid colors to match anything can be quoted and typically vary from $35 to $50 extra. Custom special design work is also available by quote. 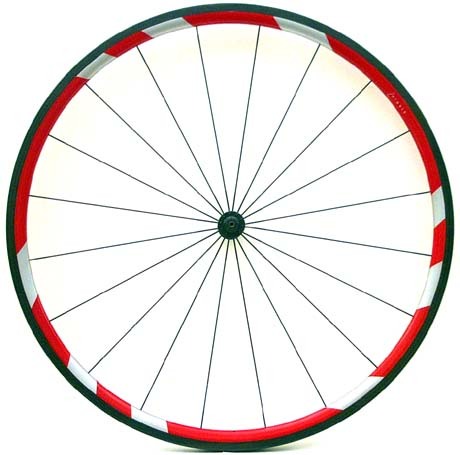 USA red with white stripe to match the USA CROSSWIND rim is $90/wheel. Availability ranges from immediate to 5 weeks. FLY is available in a wide range of configurations including a very high strength Clydesdale version Horse FLY. 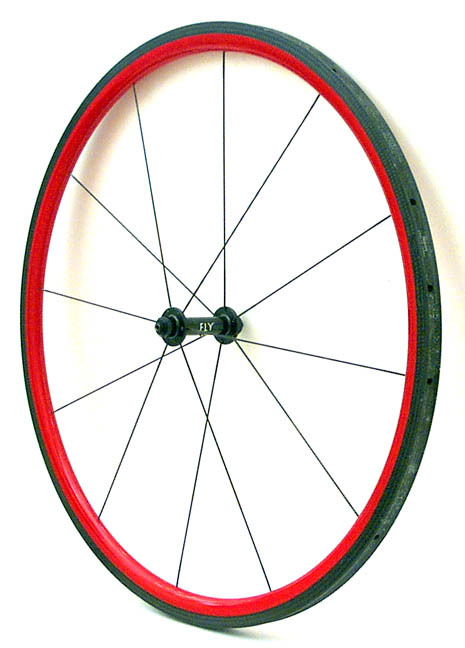 Also see FLY, see FLY images, see rims, to order see contact us, and see pricing.